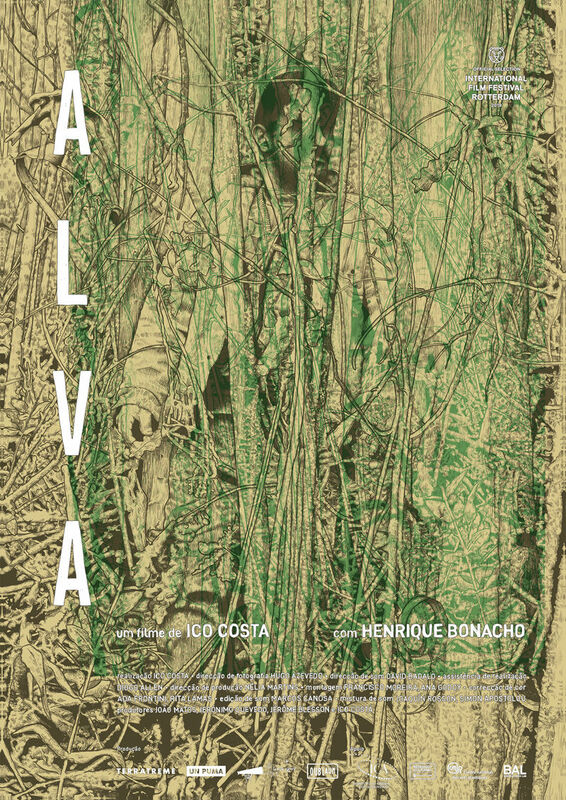 Recently premiering at International Film Festival Rotterdam, Alva is a 'man on the run' story with a very quiet approach, at least judging by the trailer. The festival's description is equally elusive: "Henrique is a terse Portuguese smallholder who lives out in the hills, far from civilisation. We realise something is wrong in his life when occasional passers-by ask if there is any news about his daughters. "The next day, he drives to a nearby village, follows someone and does something terrible. He then flees back to the hills. The almost entirely dialogue-free second half of the film focuses on Henrique as he hides out. We occasionally hear voices, or a helicopter swoops overhead. In the end, he returns to the village." Between the poster and the trailer, I am very intrigued. Adam Cook at Indiewire named the film one of the 10 best of the fest, which adds to my curiosity, so I hope it gets wider play at festivals. See the poster in its fuller size below, and then check out the trailer.